How many times have you felt overwhelmed by your financial circumstances? Were you so financially tight that you couldn’t think of any other solutions? Could a loan have made things easier for you? Yet, most times bad credit ruins any chances of getting a loan with the bank, and even if you got it, would it ever be enough? Not to mention the interest that was put up on the loan. Loans can leech away every last penny with all the interest payments and what not. Loan payments are full of traps and you might end up getting exploited. Don’t end up bargaining for more than you can handle. We understand your concerns and that’s why at Title Loans Los Angeles, we don’t mind your credit history. We offer great financial solutions so that you can get back on your feet! Your car is your answer to your financial prayers! Getting loans with a bad credit history is nothing short of a miracle. Even when you apply for a loan at a financial institution, they will require assets to be collateral for your loan. This is where we come in; we give you the flexible means to get the loan that you want. 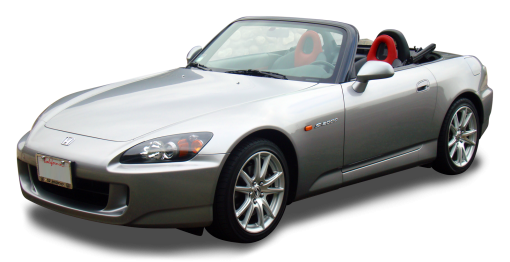 Car title loans are an easy option for anyone and all you need is a car or any form of four wheel transportation. It could be trucks, wagons or anything that you are currently driving or using. Now, don’t go jumping out of your seat yet! We are not planning to take away your vehicle. You would only have to offer your car as collateral but, you would still keep it. The beauty of car title loans is that you are still the owner and keeper of your car. Although the car title will be in the company’s name, you will be transferred the title back as soon as you pay off your loan. All the while, you get to keep your car and have the loan you need. If you have more questions about this process, give as a call at (323) 438-1474 to get detailed information on how this works. Keeping it plain and transparent. Don’t worry we won’t hand you a crossword puzzle worth of instructions to make matters complex for you. Our job is to keep it clear, transparent and simple. With Title Loans Los Angeles, it is different. The repayment option is never complex, there are no hidden clauses. You can pay off the amount of the loan and any interest just by complying with the repayment method you are provided with. The best part is you won’t go grey and old trying to pay off a loan! Now don’t go thinking that your car’s so run down that you won’t be able to attain anything with it. We offer loans against cars with a value of just $5,200! If you’re a student and need to pay your tuition even you can get this loan approved in less than 15 minutes. We provide you with a detailed “how to” for a car title loan on our How It Works and our FAQs page. It is unimportant to us how much you blew away in Vegas or misspent in the mall or how erratic you expenses have been. We don’t care if you are a shopaholic or that you have a credit bill that could put Paris Hilton to shame. All we care about is the value of your car, assessing that and providing you with the loan you currently require. Whether your credit history is bad or even zero is irrelevant to us and that is why we won’t delve into financial histories that might make you uncomfortable. Once your loan is approved it is up to you how you plan to return it. However, we do ask you to be regular with your monthly installments; this is of course for your benefit so that you don’t have to suffer any possible ramifications. We even encourage advance payments to prevent any hassles for you. If you keep to the clock about this matter you will be able to pay off your loan within no time. If you feel at any time you are going to miss payment, just give us a call and we will be more than happy to adjust your payment schedule based off your new needs and availability of funds. We are a company that takes pride in providing an all round service. Your satisfaction is our goal. We aim to make you financial dreams a reality. We have experts to answer your questions and to assist you swiftly and efficiently. You don’t even have to leave the comfort of your home for your payment. We can even send someone over to assess the value of your vehicle. Our processing time is just 15 minutes! And within the day you can have the cash in your hand and ready to be utilized. For information and details you can contact us at 323-438-1474.